Resin-bonded high temperature resistant mineral wool blankets stitched onto galvanised wire-mesh. 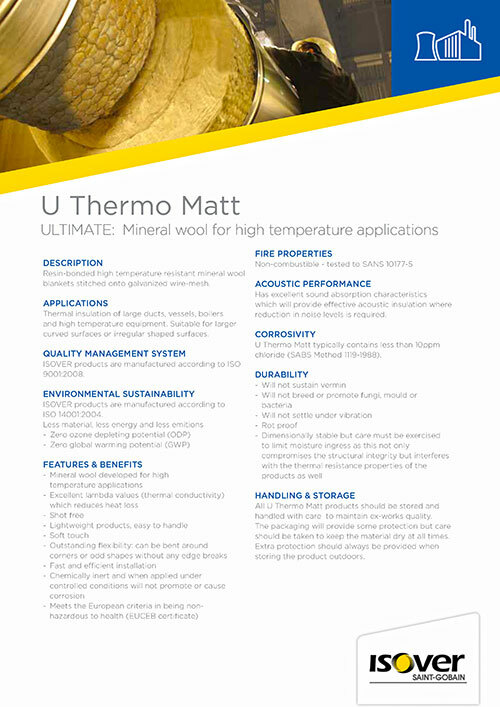 Applications include thermal insulation of large ducts, vessels, boilers and high temperature equipment. Suitable for larger curved surfaces or irregular shaped surfaces.